Underdeveloped and unexplored for most of its history, San Jose del Cabo emerged as a major tourist destination in the 1970s, when a growing number of sun-and-sand visitors discovered the area's appealing beaches. A holiday in San Jose del Cabo remains a sea-oriented affair, with plenty of chances to swim, sail, fish, or simply kick back on the warm sand with a cold cocktail in hand. The town features a charming downtown, with adobe houses and restored 19th-century buildings housing hip restaurants and well-stocked shops. Despite its proximity to rowdy Cabo San Lucas, quaint San Jose remains a peaceful place ideal for relaxing vacations. 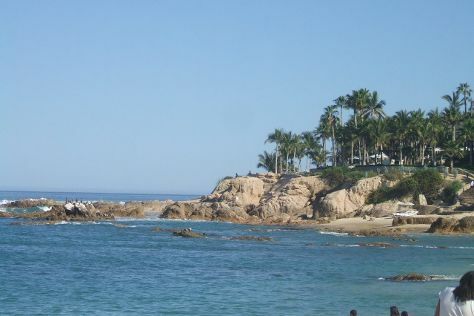 San Jose del Cabo is in Los Cabos. To personalize your trip to San Jose del Cabo, create itinerary details specific to you using our Mexico trip itinerary planner.